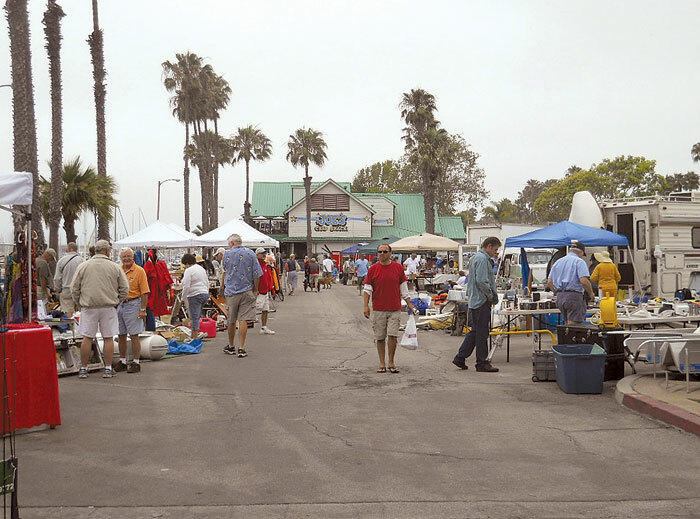 Held in the Seal Beach YC parking lot, the event is free for those looking to purchase used marine gear — such as boat parts, fishing tackle, custom rods, hats and binoculars. Some years, the swap meet vendors have also sold boats, sails and engines. Non-marine items are often for sale, as well, including handmade crafts, collectibles, tools and art. Sellers pay $30 per parking space to offer their stuff — and spaces are still available. Reservations are requested, but spaces should be available on the day of the swap meet, organizers said. All profits from sales go the sellers. There will be a Donation Station for participants to leave good used or new items to be sold for charity. Money raised from donated items will go to The Children’s Clinic. The event’s Catalina Experience raffle drawing is scheduled for 1 p.m. Raffle tickets will be available for purchase at the swap meet. A magazine swap is also planned this year. Participants can bring “gently read” magazines and swap them for someone else’s periodicals. A pancake breakfast and a hot dog lunch are also planned during the swap meet. For 26 years, yacht clubs in the Long Beach area have hosted the annual Charity Regatta, a fundraiser supporting The Children’s Clinic. The money raised from the regatta and the supporting events helps the clinic implement innovative programs and expanded services for low-income children and their families in the community. For more information, call Kelly at (714) 865-4585 or email newport41s@aol.com.